The year 2012 marked exciting developments and trends in the world of technology. Android wasn’t spared from all of these developments. In fact, 2012 was the year that gave us the best android apps ever to hit the market. Let’s take a look at the top six of these best apps and see whether or not you already have them in your mobile phone or tablet. It seems that everybody can’t live without Google and why wouldn’t this be the case when Google Chrome has always been the go to search engine for finding anything you wish to search for online. What’s great about Google Chrome is it maintained the same convenient and friendly user interface but developed its features making it faster than ever. Google Chrome therefore has been tagged as one of the best apps on Android for this year and there’s really no saying whether or not it will continue to be the best in the years to come. 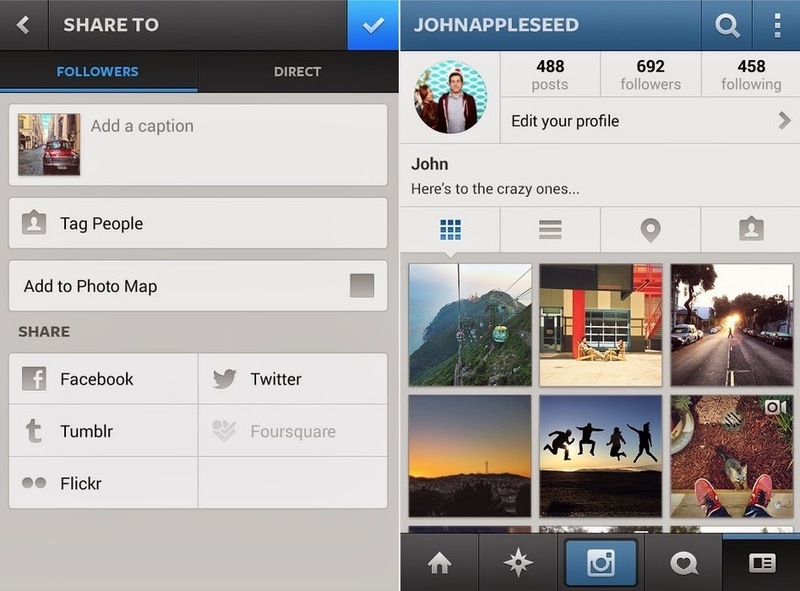 Instagram used to be an exclusive application that can only be downloaded and accessed by Apple users. During the mid-2012, Android announced that it would finally carry the popular application. To this, Android users can’t help but exclaim in delight especially since Instagram has a unique and wonderful way of editing pictures and enhancing their quality. And just like that, Instagram has automatically been regarded as one of the best applications ever released on Android this year. Given that it is downloadable to any Android device for free makes it even more popular among a lot of users. Want to get the latest information and news on the topics that matter most to you? If yes, then the best application you can download on your Android device is Flipboard. This application is absolutely fantastic because it gives users the ability to preselect the topics they want to appear on their device. For instance, if you want to get updates regarding fashion, travel, technology and dining, click it in your options folder and get access to the most up-to-date information anytime, anywhere. If you’re looking for an exciting application you wouldn’t be able to live without, then Temple Run just might be the answer. This application was introduced on Android this year and in a few minutes garnered thousands and thousands of downloads. According to players of the game, it fulfills the desire of every person to find something absolutely exciting to do online and this is the very reason why the game is considered as one of the best apps for Android users of 2012. You probably have gone tired of playing the Angry Birds game on your mobile device. But don’t give up on the Angry Birds craze just yet because this year, the creators of the game released two of its newest and perhaps even the most exciting versions of the said application: the Angry Birds Space and Angry Birds Star Wars. The idea behind the game and its handful of exciting levels is the same but is made to be a little bit more challenging for players to enjoy. If you are a magazine lover, chances are you can easily fall in love with the Zinio app. This app is made available on Android absolutely free of charge and makes it possible for you to connect to approximately 5,500 different magazine publications so it wouldn’t be too difficult to find a magazine that absolutely suits your taste and reading preference. There are still many other applications introduced on Android this year but these six applications are perhaps the most useful and most popular applications you can find this year. Who knows whether or not these applications will still garner the same popularity as it did this year or other applications of the same caliber will be introduced next year. Whatever it is, if you have fallen in love with these apps and space in your device is not an issue, then there’s no need to worry. Keep them saved in your device and use them any time you wish.